Busch Gardens Tampa Bay is a huge African-themed animal park and thrill ride adventure park just outside of Orlando. 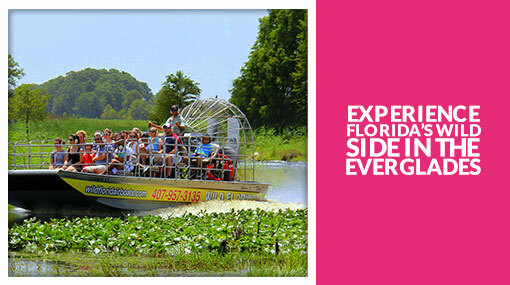 It’s home to almost 3,000 animals and some of Florida’s most thrilling rollercoasters. Take the incredible Serengeti Safari across the wild African plain where you’ll meet zebras and rhinos, and can even feed the friendly giraffes! This is one experience you definitely don’t want to miss out on. Hand-feed tropical birds, kangaroos and more adorable animals, see spectacular Broadway quality shows and ride a 7-loop rollercoaster and lots more – all in the space of a day at Busch Gardens! Book Busch Gardens tickets now! This 16-minute ride takes you on a journey back over 40,000 years to see the landmark moments that made some of today’s amazing technology possible! From the Stone Age to the computer age, you can see how early man painted his thoughts on cave walls, and the Phoenicians devised the alphabet, right up to the televised broadcast of the moon landing and beyond. Reach new heights at Busch Gardens with the first drop tower of its kind in the world! Falcon’s Fury mimics the dive speeds of the fastest creature on earth – the falcon. Standing tall at 335ft, riders are plunged 60mph straight down just like a falcon diving at breakneck speed for its prey. At the ride’s highest point, the ride pivots 90° in mid-air until you’re in a face-down dive position - just like its bird of prey namesake. You can guess what’s coming next… an instant later you're plunged straight down with amazing speed and power! The cheetah is the fastest land animal on earth. A beautiful, graceful hunter admired by everyone…. the perfect creature to base a rollercoaster on! Experience the speed and skill of the cheetah on Busch Gardens’ longest thrill ride; Cheetah Hunt launches you from 0 to 60mph in a few seconds – just like the cheetah does - not just once, but three times! This ferocious, floorless dive coaster takes you 200 feet up to the edge of a sheer, terrifying drop. As the ride inches carefully over the edge, then stops dead, you’ll be begging for mercy! After a few nerve-shredding seconds, the brakes are released and you plunge full-speed from the sky into an Immelmann inversion (loop-the-loop), dive into an underground tunnel and finish with a splashdown finale. Phew! Prepare to get seriously soaked! Congo River Rapids is a thrilling white-water rafting experience for the whole family. 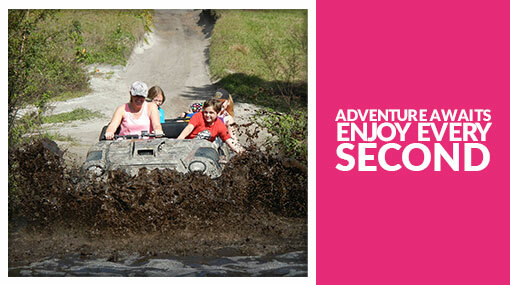 Pass through water jets, waterfalls and water cave as you face the furious flow of the Congo River. If that’s not enough water for you – the spectators standing on the river banks will be firing water spray jets at you! Here’s something for the youngest park explorers! Air Grover will take the kids on an exciting journey over the Sesame Street Safari of Fun area. 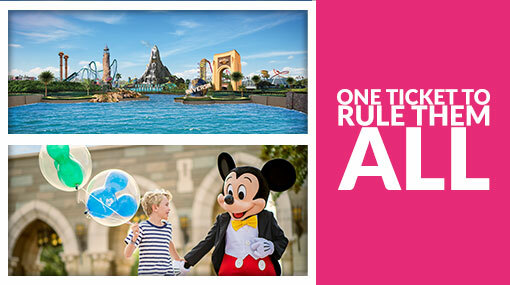 You can join in too – this is your chance to be part of your child’s first ever roller coaster ride! Dare you take on Florida’s tallest launch coaster?? Opening in spring 2019. Tigris® travels over more than 1,800ft as you race along steel track designed to mimic the awe-inspiring agility of the world’s most powerful cat – the tiger. The animals are the stars at Busch Gardens! The Serengeti Safari Tour takes you right to the centre of the action, where hundreds of animals roam free on Busch Gardens’ Serengeti Plain®. Get ready for some amazing photo opportunities as you venture out into this enormous natural habitat on a 30-minute open-air safari truck expedition. Meet zebras, rhinos and antelopes and even feed a giraffe a leafy snack! Your personal tour guide will entertain you with funny stories and fascinating information about the animals who live there. Book Serengeti Safari tickets now! Fast, strong, beautiful and graceful – cheetahs are loved and admired by everyone! And here you can get just inches away from the world’s fastest land animals. When you arrive at the park, ask a Busch Gardens educator when the cheetahs will be running – it’s a sight you don't want to miss! Get a glimpse into what goes on behind the scenes at the state-of-the-art facility where Busch Gardens’ staff take care of their animals. Here you’ll find out about the X-rays, surgeries, nutrition, treatments and lots more! Take a walking safari through this attraction that’s themed around an abandoned African fishing village, and see all kinds of exotic African animals along the way! You can take things at your own pace as you encounter hyenas, lemurs, vultures, meerkats, hippos, lions, crocodiles and more. The lions will be at their most active either early in the morning or at dusk. Experience three storeys of jungle life at Jungala, from a tiger’s underground lair to an orangutan habitat in the treetops! Get an incredible view into the middle of the tiger enclosure on the Tiger Trail, cool down on Wild Surge, a shot tower that launches you above a waterfall, and little ones can soar through the treetops on the Jungle Flyers zip line. Check the keeper times on the back of your park map for feedings, special moments and even a tiger test of strength! Make some new feathered friends as the friendly, colourful Lorikeets glide down to say hello - and feast on the cup of fresh fruit nectar in your hand! You can also meet other birds like hornbills, pheasants and many more. Don’t forget to pick up a cup of nectar on your way in to hand-feed the lorikeets! Go on a musical Safari with Elmo and his Sesame Street friends! This adventure with Elmo, Abby, Zoe, Grover and Cookie Monster will have your kids in stitches AND they’ll learn interesting facts too. Arrive at theatre at least 15 minutes early to get better seats. Stay after the show to meet your favourite Sesame Street characters and take photos with them. Experience a spectacular ice show…which celebrates summer! 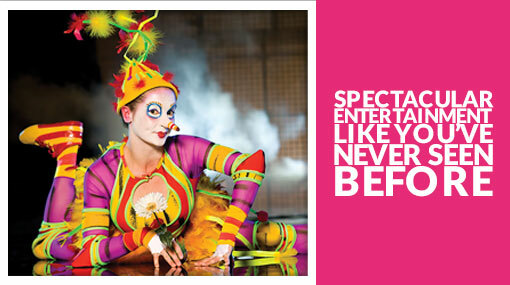 Enjoy contemporary performances, breath-taking aerial stunts and vibrant eclectic pop music. Get ready for a wild animal extravaganza on stage! Witness over 100 rescued animals take over stage in a fun theatrical piece about humans and animals coming together in kindness, compassion and cooperation. Stick around after the show if you want to meet the actors, trainers, and some of the furry cast members too! 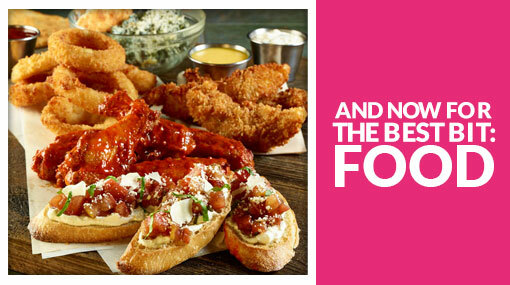 Make your money go further with the Busch Gardens All-Day Dining pass! Eat and drink as much as you like all day in most of the eateries at Busch Gardens! Where can I use my All-Day Dining Pass? There’re a few more great places to eat at Busch Gardens. They don’t accept the All Day Dining Pass, so they might be a little less busy. Dine with Elmo & Friends in Sesame Street Safari of Fun – have lunch with your favourite Sesame Street characters and get lots of hugs! If you have any special dietary requirements, contact Guest Relations when you arrive at the park to find out which places you can eat. Busch Gardens’ opening hours can vary depending on the season. We recommend checking with the park before you visit if you need to know the opening times on a specific date. Busch Gardens has almost 5,000 parking spaces! Disabled parking spaces are available in Lot A near the main entrance. Please note that you must have a legal parking permit. Guests with hard casts cannot ride Kumba, Montu or SheiKra. Guests with visual impairments must have someone (a companion or park team member) read the ride restrictions to them prior to boarding. What can I bring into Busch Gardens? Any food such as sandwiches, meals, snacks etc. You are allowed to bring water bottles into Busch Gardens. Busch Gardens Tampa Bay is located at the corner of Busch Boulevard and 40th Street. Free round-trip transport to Busch Gardens from several convenient Orlando area locations is included with your Busch Gardens tickets when you book with FloridaTix! 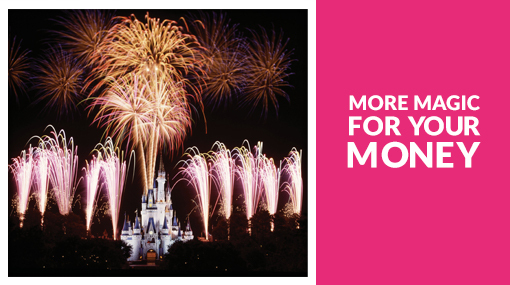 You will need to reserve your transport in advance by calling Mears Destination Services on 1-800-221-1339. Please also call this number for any additional information, including pick-up times and locations.